Born: November 2, 1932 in Eastham Ma. 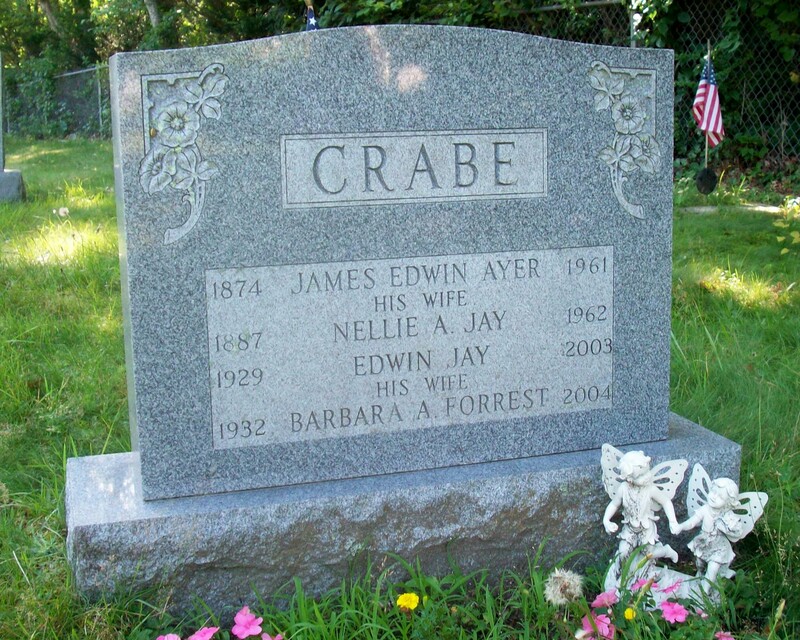 Died: June 21, 2004 in Myrtle Beach S.C.
To: Edwin Jay Crabe, Korea; (1929 – 2003) (James Edwin Ayer Crabe & Nellie Aldana (Jay) Holbrook); Edwin married (1) Evangeline Frances Small (1930 – ?) (Sumner Linwood Small & Frances Evangeline Manter).